Exploration Ground Systems (EGS) chilled out recently with a pressurization test of the liquid oxygen (LO2) tank at Launch Pad 39B at NASA’s Kennedy Space Center in Florida – Pad 39B, recently upgraded by the EGS team for the agency’s new Space Launch System rocket. 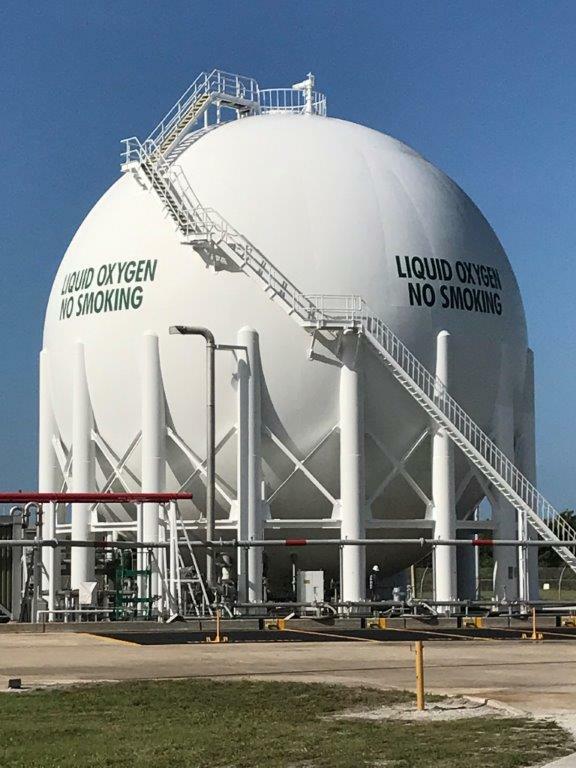 The six-hour test of the giant sphere checked for leaks in the cryogenic pipes leading from the tank to the block valves, the liquid oxygen sensing cabinet, and new vaporizers recently installed on the tank. The SLS will use both liquid oxygen and liquid hydrogen. During tanking, some of the liquid oxygen, stored at minus 297 degrees Fahrenheit, boils off and vapor or mist is visible. While the tank can hold up to 900,000 gallons of liquid oxygen; during the test it only contained 590,000 gallons of the super-cooled propellant. The test was monitored by engineers and technicians inside Firing Room 1 at the Launch Control Center, a heritage KSC facility also upgraded by the EGS team in preparation for the upcoming mission. Results of the test confirmed that the fill rise rate was acceptable, the tank pressurization sequence works and that only one of the two vaporizers was needed to accomplish pressurization. Another system is “go” for the first integrated launch of SLS and the Orion spacecraft!